The Doctors Prescription Report is accessed from the Report menu with a search form used to filter by search criteria. 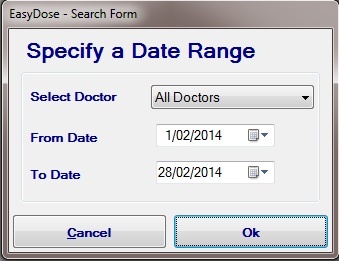 The dosing records are searched by selecting all or individual doctors followed by date criteria. 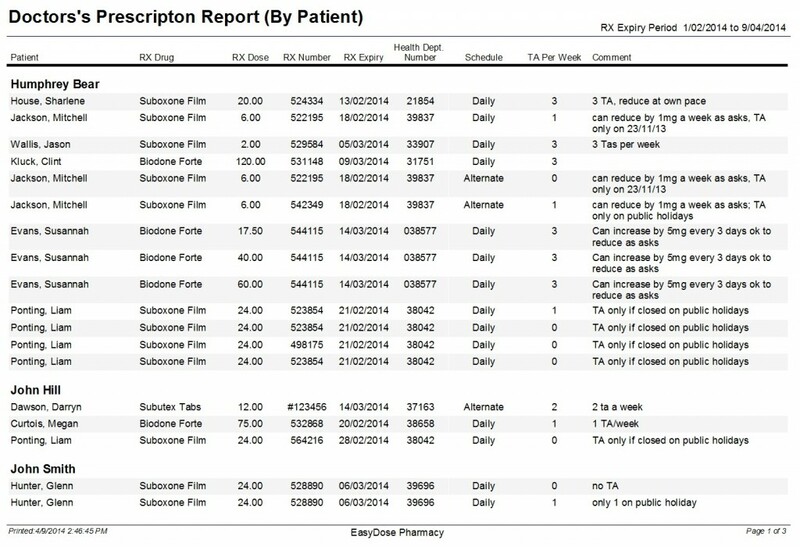 Click OK to produce the following detailed report sorted by a doctor and by a patient’s prescription.